My short story, “The River Road, She Rides” was published in the Winter 2019 issue of The New Quarterly. My instructional article, “Baking for Sadists” is now up at Points in Case. My short story “Malleus, Incus, Stapes” was published by Dark Moon Books in the anthology The Five Senses of Horror edited by Eric J. Guignard. My short story, “A Fish Story” is now available in the Funny Fantasy anthology, edited by Alex Shvartsman and published by UFO Publishing. The Worlds of Science Fiction, Fantasy & Horror Volume 1 anthology, edited by Robert N. Stephenson and including my story, “Coxley’s Black Divine”, is available for free here at Smashwords and here at Amazon. My novelette, “The Stone Man” has been reprinted in the May 2015 issue of Fantastic Stories of the Imagination. My first-ever piece of narrative non-fiction, “The Dog Days of India”, was published in May in Sick! Curious Tales of Pests and Parasites We Share with Animals. The essay is about my experiences evaluating a rabies control program in India. 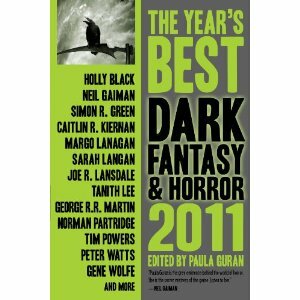 The Year’s Best Dark Fantasy and Horror, 2011 Edition from Prime Books is now out. My short story, “Malleus, Incus, Stapes” appears in this anthology alongside stories by Tim Powers, Tanith Lee, George R.R. Martin, and other brilliant writers. The full Table of Contents is here. I will be teaching a fiction workshop at 7PM on Wednesday April 6th, 2011 at the main branch of the Guelph Public Library. The topic is “Busting the Myths of Publishing”. You do not need to register. Everyone is welcome. Barbara Martin has reviewed Animythical Tales here. I will be teaching a workshop on Story Structure at 7PM on Wednesday, March 9th, 2011 at the main branch of the Guelph Public Library. There is no need to register and anyone is welcome to attend. Jon Fear at The Record has reviewed Animythical Tales here. Tangent online has given Animythical Tales a glowing review here. My short story, “Malleus, Incus, Stapes” is online at Fantasy Magazine. You can read it here. On October 28th (4:30-6:00) 2011 I will be at the University of Guelph McLaughlin Library for their Campus Author Recognition Program Ceremony. Animythical Tales will be one of the featured books. I have a short essay about Alan Garner’s The Owl Service at The Mark News here. Rich Horton reviews the Belong anthology, and has some nice things to say about my novelette, “Song of the Blackbird”. My short story collection, Animythical Tales, was published in 2010 by Fantastic Books, an imprint of Gray Rabbit Publishing. The collection contains ten short stories (seven previously published in such venues as Realms of Fantasy, Fantasy Magazine, and Writers of the Future XXII). One of the stories was named the Regional Winner (for Canada & the Caribbean) in the 2007-2008 Commonwealth Short Story Competition. 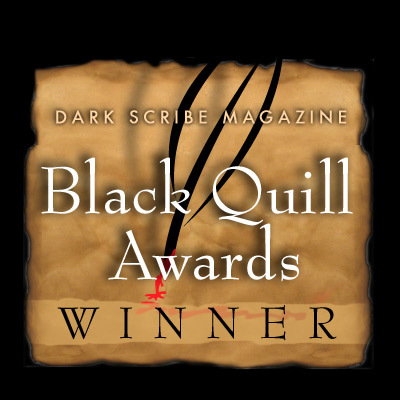 Another placed third in the 2005 Writers of the Future Contest, and a third won a Black Quill Award (Editor’s Choice: Best Dark Scribble category). The Introduction is by World Fantasy Award-winning editor, Forrest Aguirre. To see the Table of Contents, along with a brief description of each story and its publication history, click here. Animythical Tales is now available online at: Chapters, Barnes & Noble, and Powell’s. Michele Lee at Dark Scribe Magazine says, “The stories in Animythical Tales are lyrical and off-beat, betraying a near trademark British precision evocative of masters like Ramsey Campbell.” The full review is here. Rick Kleffel at The Agony Column has this to say about Animythical Tales: “There’s an almost festive feel to this collection even though many of the stories are chilling or disturbing. Totton knows that some readers at least, like to be disturbed. Her unusual take on the world is bracing and entertaining.” Full review is here (scroll down). The Midwest Book Review calls Animythical Tales “Entertaining, clever, and thought provoking.” Full review here (scroll down). Lois Henderson reviews Animythical Tales over at Book Pleasures. The first review for Animythical Tales, is up at The 1% Club here. My flash fiction piece, “If You Enjoyed This Story…” published in Tales of the Unanticipated #30 has received a very favorable review on the Fantastic Reviews Blog here. My short story, “Malleus, Incus, Stapes” has been accepted for publication by Fantasy Magazine. Editor Sean Wallace cryptically alludes to the story in his blog here. The folks at Writers of the Future give my short story collection Animythical Tales a shout-out here (scroll down to the April 12th entry). My short story, “The Bone Fisher’s Apprentice” in Animythical Tales won third place in the 2005 Writers of the Future Contest. Writers of the Future is a contest for new and emerging short story writers of speculative fiction. More information about the contest is here. My short story, “Match Point” published in the hardcover anthology Love Stories: A Literary Companion to Tennis received a glowing review at The Book Foxes blog. My short story, “Flatrock Sunners” just received an honorable mention in Ellen Datlow’s Best Horror of the Year, Volume 2. “Flatrock Sunners” appears in my short story collection Animythical Tales and also recently won a Black Quill Award. My novelette, “Song of the Blackbird” appeared in the Australian anthology Belong (edited by Russell B. Farr), released on April 1st 2010. My short story, “Flatrock Sunners” has won a Black Quill Award (Editor’s Choice, Dark Scribble Category). Thank-you to everyone who nominated and voted for my story. “Flatrock Sunners” will be appearing in my collection. More on the Black Quill Award winners here. My short story, “Choke Point” was published in Fantasy Magazine on December 28th, 2009. 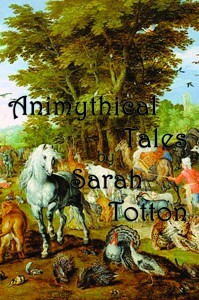 Fantastic Books will be publishing my short story collection, Animythical Tales in 2010. Aquisitions Editor, Douglas Cohen reported the news on his blog here. My short-short story, “If You Enjoyed This Story…” will be published in Tales of the Unanticipated Issue #30 coming out in April 2010. My short story, “Flatrock Sunners” appeared in Black Static Issue #12 in August.